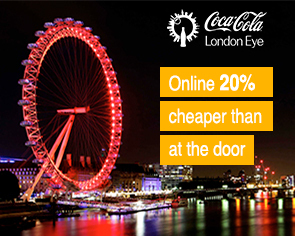 "It's great to have all these 4 attractions with this price but my only comment is that you've to exchange your emailed tickets with the real tickets only from Madame Tussaud so if you're planning to go to London Eye for example on your first day of trip, you've to go to Madame Tussaud first and stand in the long queue their just to get your tickets exchanged for real tickets." SEA LIFE London has one of Europe’s largest collections of marine life and is a must-see for anyone who's interested in sea life. At SEA LIFE London, you can among many things experience over 500 species and plants, see over 40 sharks from 12 different species, meet a Gentoo penguin and experience the fascinating world of jellyfish in the new exhibit Ocean Invaders.